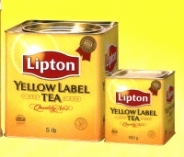 The world-renowned Ceylon Tea comes from Sri Lanka, the Green Eden Garden. Yet, why isn’t it named “Sri Lankan Tea”? As a matter of fact, Ceylon used to be the official name of Sri Lanka until 1972. During her colonial era, the ruler, i.e. 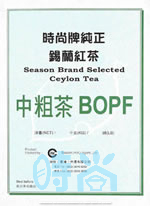 the British government, fostered the development of local tea industry and promoted Ceylon Tea to the world. 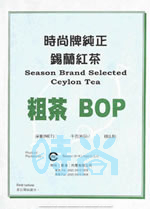 That’s when and why the name of Ceylon Tea has started to be recognized. Among numerous extensive tea gardens in Sri Lanka, NUWARAELIYA is one of the cities where the best quality black tea is grown and produced; she has become a wonderful attraction to tourists too. Situated in hilly regions with an average relief of 2000 feet, it has an abundant precipitation input exceeding 2000mm. Apart from such ideal physical conditions, Tamilian tea garden workers from India also contribute to the reputation of Ceylon Tea from Sri Lanka. 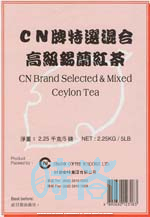 Ceylon Tea is generally divided into high, medium, and low grown and then graded according to its size, colour, flavour, etc. 1) B.O.P. 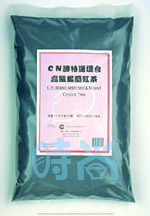 is processed by mechanical rubbing and grinding and has a relatively coarse texture (2-3mm). 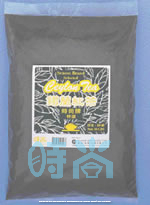 It has a light colour but stronger aroma. 2) B.O.P.F. 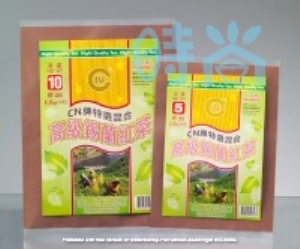 contains tea tips and is finer (1-2mm) than B.O.P. in terms of size. 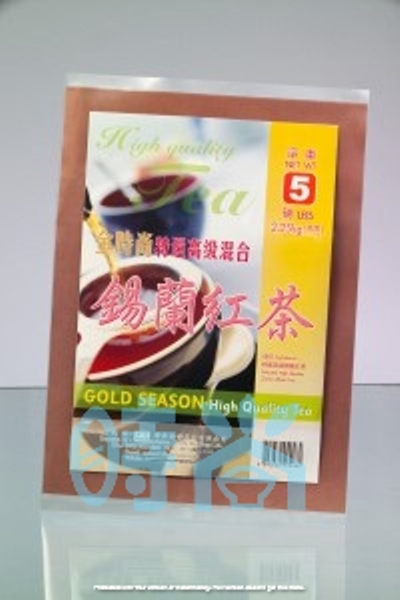 It has moderately good aroma and colour, which are favourable for quick brewing. 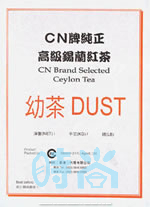 3) DUST is the finest grained tea out of three. 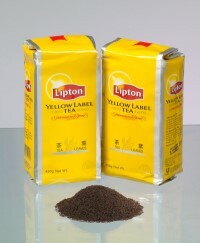 It is in powder form and has a darker colour but light aroma. Coffee beans can roughly be sorted into two groups: Arabica coffee bean and Robusta coffee bean. 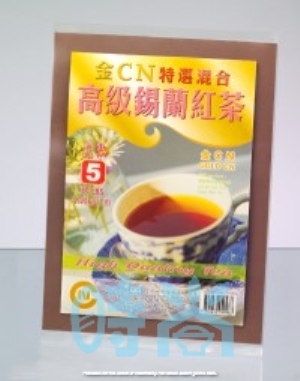 The former has a medium thickness and pleasant odour and is used in the manufacturing of gourmet coffee. It usually grows in tropical regions at an altitude of 900-2000 meters and with abundant rainfall (e.g. South American and African countries). Comparatively, the latter can be found in regions of lower altitude where the temperature is around 24°C -26°C. It has a stronger savour and heavier body on your tongue than the former. 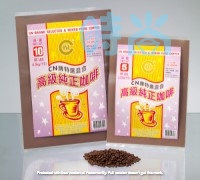 It also has a higher portion of caffeine content, and thus is usually used as filler to blend with other types of coffee beans and to produce highly processed coffee (e.g. canned coffee). 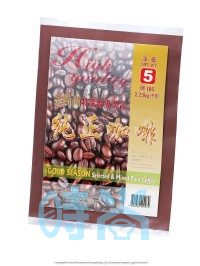 Though there are many varieties of coffee bean, our company endeavour to select the most suitable products for all customers from a wide range of origins, including Brazil Santos, Columbia Emerald Mountain, Costa Rica, Kenya, Guatemala, Moga (Ethiopia), Tanzania, Sumatra Mandheling, Java and Indonesia EK. 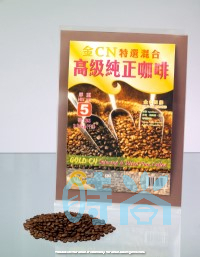 We also supply commendable Arabica coffee bean from Jamaican Blue Mountain.